ORLANDO – John Watts Young, a naval aviator and test pilot who later became the first person to fly in space six times from earth, and seven times counting his lunar liftoff, died Friday evening, January 5, 2018. He was 87 years old. 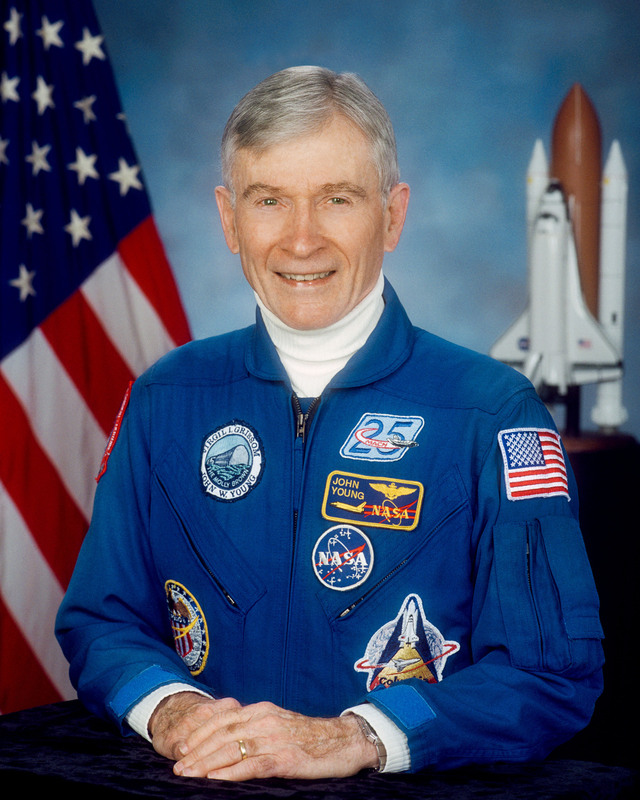 Young flew on Gemini 3 and 10, orbited the moon on Apollo 10, walked on the moon on Apollo 16, and commanded two space shuttle missions, STS-1 and STS-9. 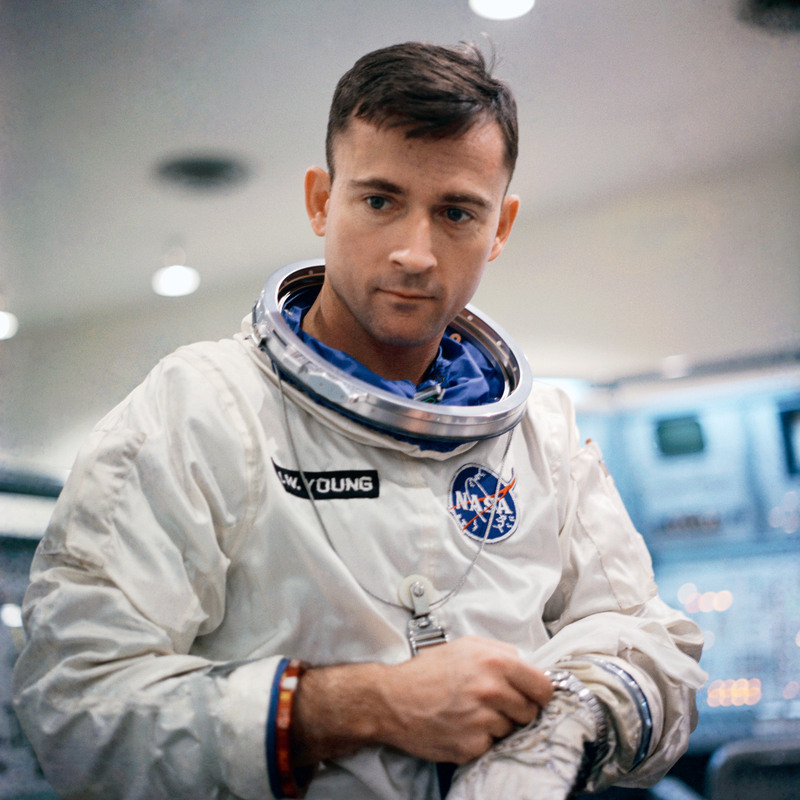 John Young was born on September 24, 1930, in San Francisco, California. He received a Bachelor of Science degree in Aeronautical Engineering with highest honors from Georgia Institute of Technology in 1952. Upon graduation, Young entered the United States Navy piloting a series of test projects and setting world time-to-climb records in a Phantom jet. He retired as a Naval Captain in 1976 with 25 years of active military service. Young was selected as an astronaut by NASA in 1962. He flew with Gus Grissom on the first manned Gemini mission, Gemini 3. During five hours in orbit, they accomplished several firsts for a manned spacecraft: changing the orbital path, operating a computer, and lifting reentry. On Gemini 10, Young and Mike Collins executed a dual rendezvous with two separate Agena satellites. On Apollo 10, Young operated the Command Module while Tom Stafford and Gene Cernan flew the separated Lunar Module to within 10 miles of the moon. Young commanded Apollo 16, with Charlie Duke and Ken Mattingly. 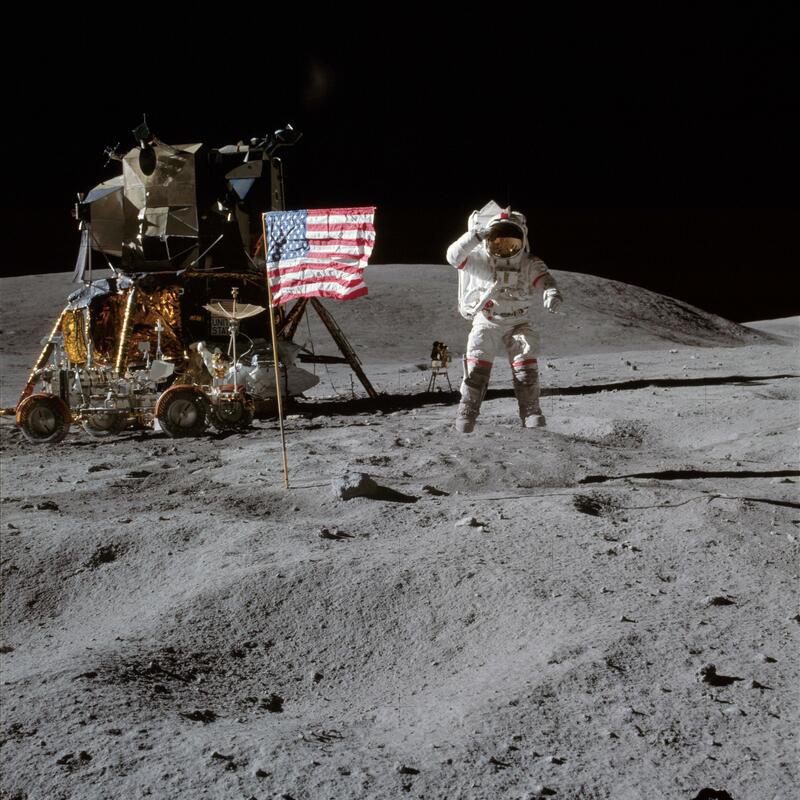 Young and Duke explored the lunar highlands at Descartes, drove a Lunar Rover 16 miles, and collected 200 pounds of moon rocks. Young’s fifth flight was as commander of the first space shuttle mission, STS-1, a 54.5-hour flight during which he and Bob Crippen thoroughly tested the first re-flyable winged spacecraft. Not long after STS-1, Young was back in space aboard Columbia for the STS-9 mission. John W. Young was inducted into the United States Astronaut Hall of Fame at Kennedy Space Center, Florida in 1993. Young was named Chief of the Space Shuttle Branch of the Astronaut Office in 1973. A year later he was selected Chief of the Astronaut Office. During his term, Young led astronaut flight crews participated in the Apollo-Soyuz joint American-Russian docking mission, the Space Shuttle Orbiter Approach and Landing Test Program, and 25 Space Shuttle missions. Until 1996, Young served as the Special Assistant to the Director of the Johnson Space Center for Engineering, Operations and Safety. Young retired from NASA in 2004 and continued to advocate the development of the technologies that will allow us to live and work on the Moon and Mars. Young is survived by his wife Susy, two children, Sandra and John from his first wife Barbara White, and three grandchildren.